Knitting and crochet have long been considered forms of folk art, but in the 21st century, these time-honoured crafts are breaking away from the outdated stereotype of cosy domesticity. Whether miniature or oversized, multi-coloured or monochrome, abstract or naturalistic, intimate or exhibitionist, knitted works are now invading galleries, museums and other public spaces. Yarn has become a medium for artistic expression as valid and multifaceted as painting, sculpture or photography. 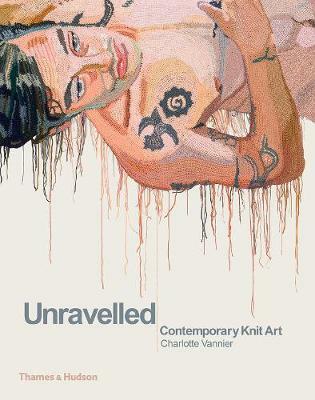 Showcasing forty international artists who incorporate knitting, crochet and more into their practice, this book provides a survey of yarn work in contemporary art, illustrating the huge range of ways in which these techniques have been embraced as a form of creative expression. Some artists evoke a kind of nostalgia, rediscovering skills that have fallen from fashion or promoting the value of ancient handicrafts in an industrialized world of mass-production. Others push the boundaries of knitting by using non-traditional materials such as rope or wire, or by using its sculptural potential to tackle themes that are political, personal or transgressive. Although often associated with feelings of warmth, enclosure and familial love, yarn can also represent the ties that bind us together or a membrane that protects us from the world. Packed with striking images, this book demonstrates how knitting needles and crochet hooks can created works of art that are challenging and unique, forcing us to take a fresh look at our own lives and beliefs and at the objects that surround us every day.